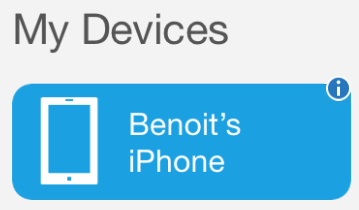 In Part 4, we will begin device enrollment starting with Apple iOS devices. 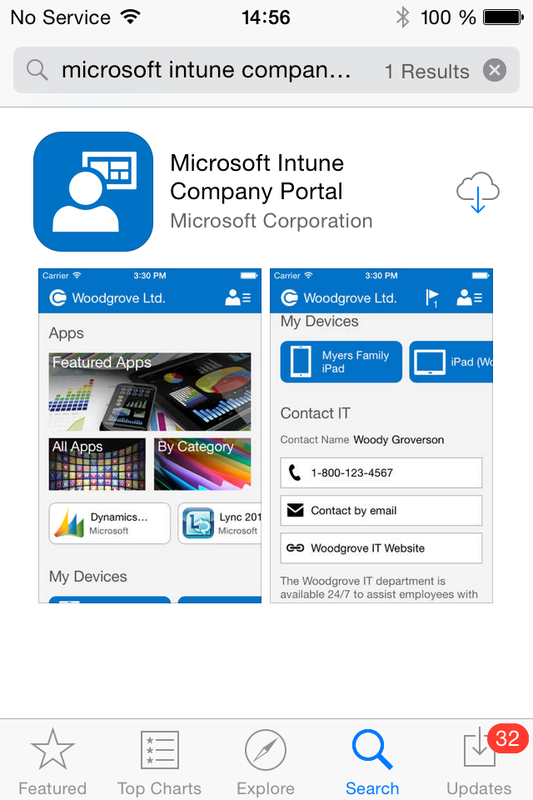 Your iOS devices need to download the Company Portal App from the App store. 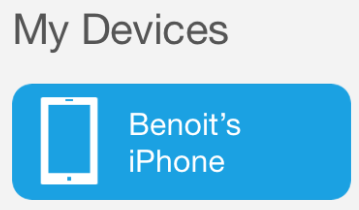 iOS devices needs to be contacted by the Apple Push Notification service (APNs) in order to check for policy. 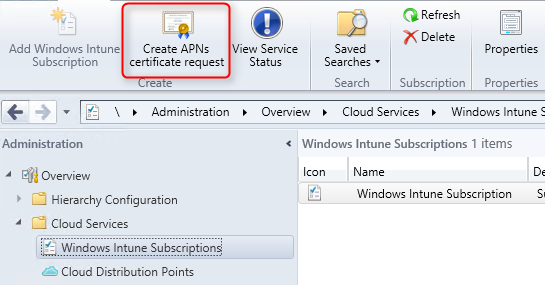 To do so, your company needs an APNs certificate to allow Windows Intune to contact Apple when device ask for new policies. 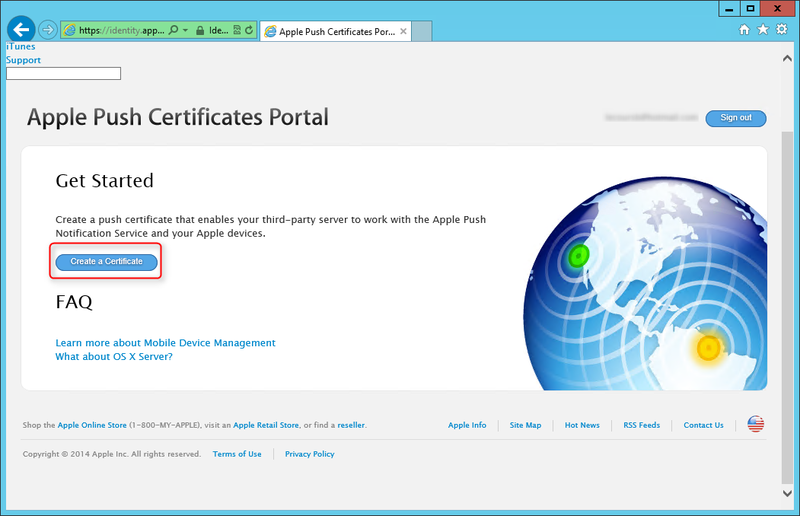 Here’s how to obtain this certificate. 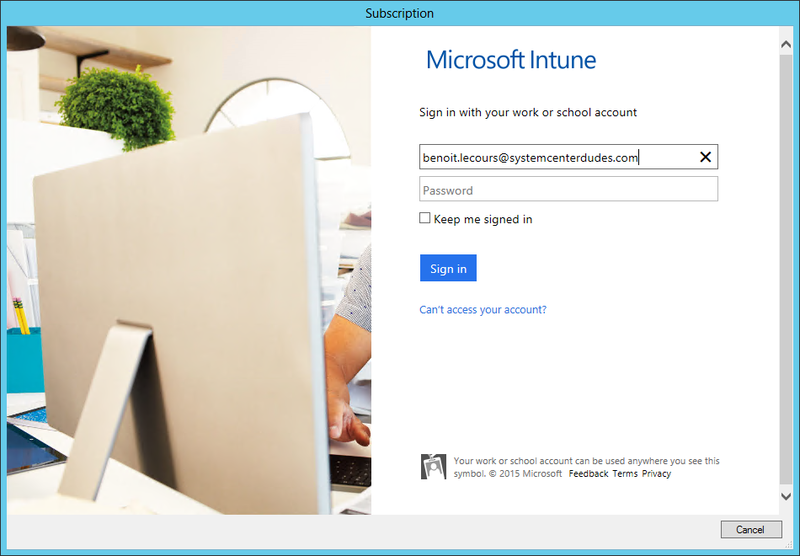 You will be prompt with the Intune login page, enter your Intune credential. 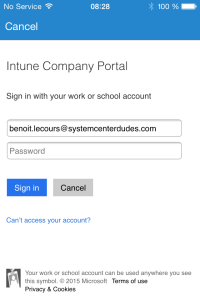 See part 1 of this blog series if you don’t have an Intune account. 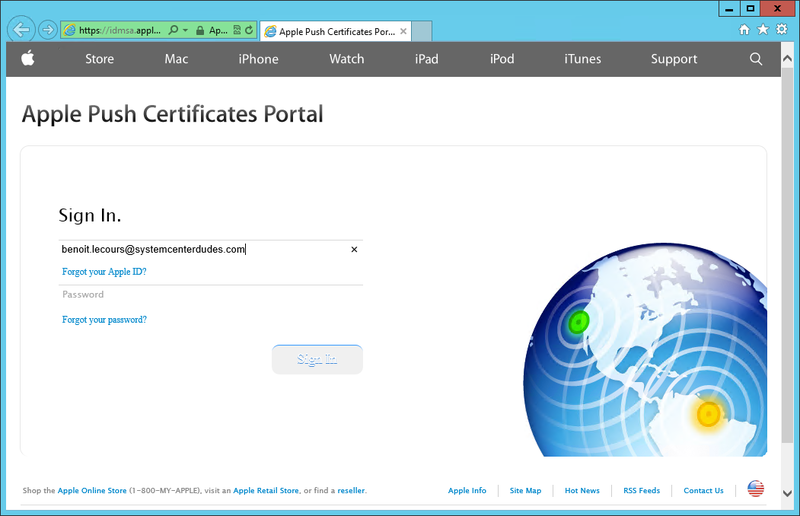 Your certificate is now created and available for download. The certificate is valid for 1 year. 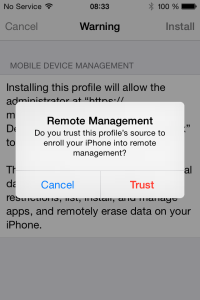 You will need to repeat the process of creating a new certificate each year to continue managing iOS devices. Ensure that the file is a .PEM and save it to a location on your server. If the downloadable file is a .JSON file, use a alternate browser (not IE) to download the file. 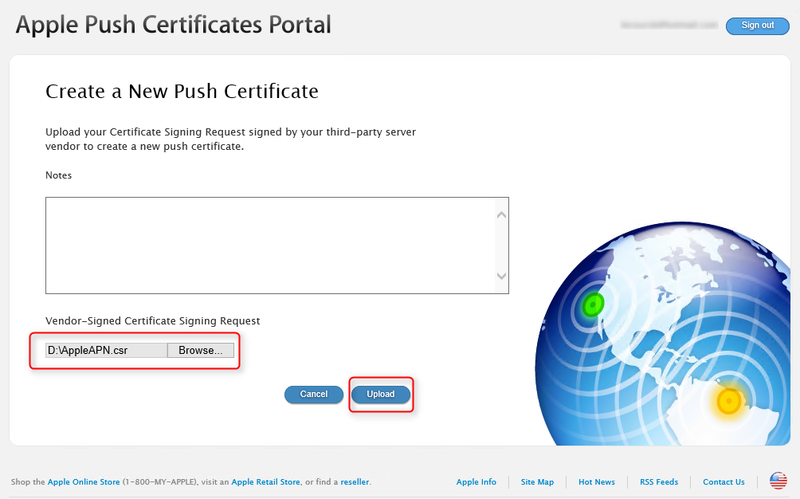 On you have saved the file locally, sign out of the Apple Push Certificate Portal. 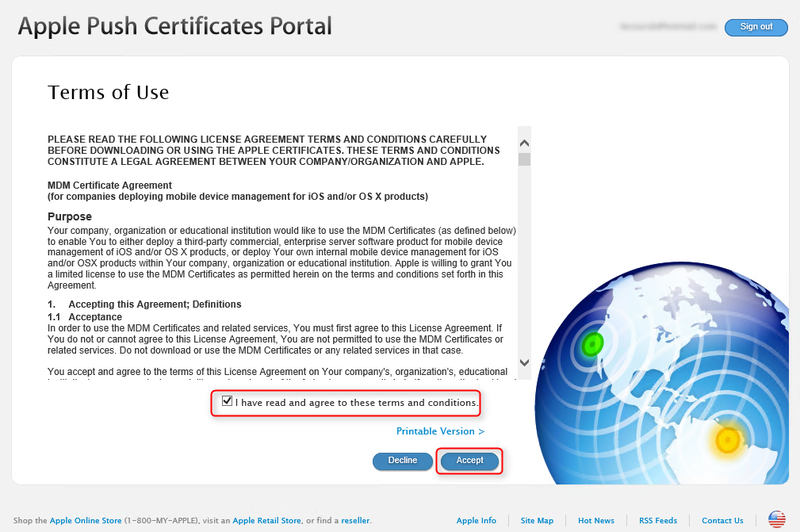 You now have your APN Certificate (.PEM) and we’re ready for the next step. 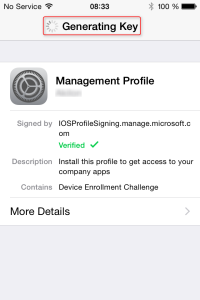 We will now enable iOS enrollment on the SCCM side. 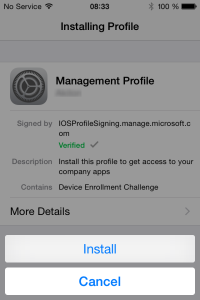 You’ll get prompted to install the Management Profile, click on Install. 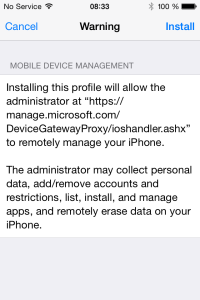 You will be prompt to enter your Iphone passcode. Verify that there’s no I sign beside your device at the bottom of the company portal. 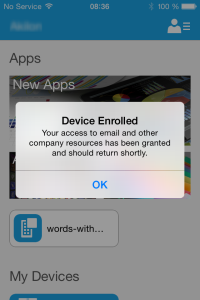 The first screenshot is an enrolled device, the second one is a non enrolled device. At the beginning of the enrollment process, if you click on Cancel you can start it again manually. 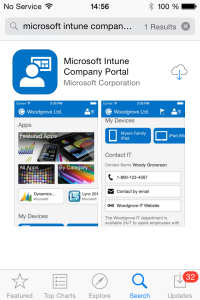 Open the Company Portal, you’ll notice that there’s a I sign beside your device at the bottom. 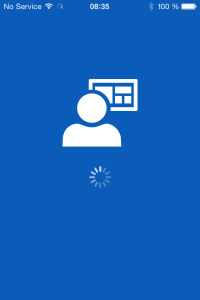 Select your device and the enrollment process will restart. Refer to the above procedure. If you have any problem with enrollment, you can shake the device to enter diagnostic mode. 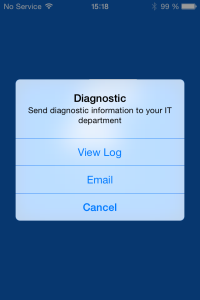 You can select to View log file or send it by Email to read it on your computer. 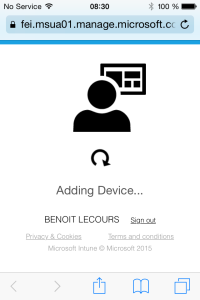 That’s it, you’ve completed the fourth step to manage mobile device with SCCM 2012. 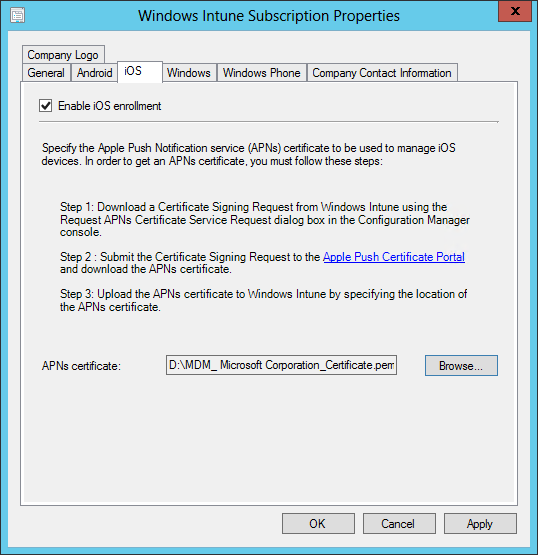 Great write up on using Intune and SCCM. 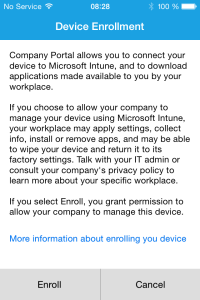 I have gone through Step 4 and added 3 iPad mini’s via the Intune company portal app. 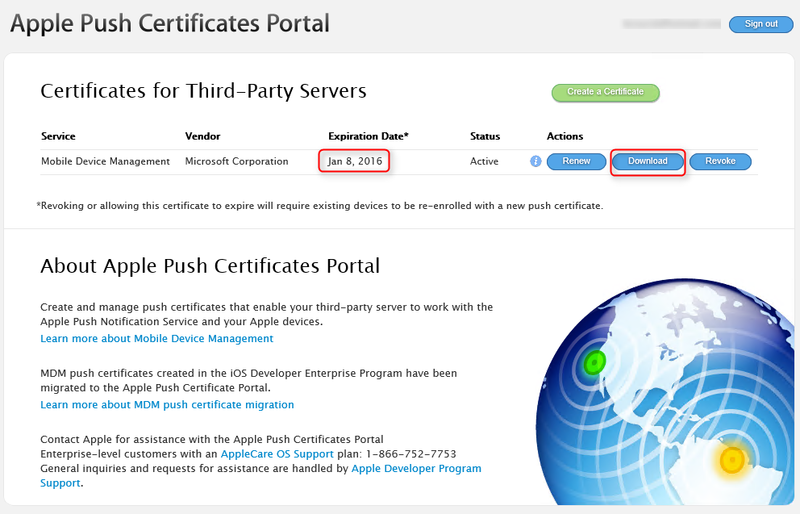 When I look in SCCM, they are not in the mobile devices collection but all 3 show up in the app on each iPad. Going through the steps, I noticed that some screens have changed and some items are completely gone in the wizards. I did my best to find the new way to complete the step but have a feeling I missed something. Any help would be appreciated.